From ancient times it has been recognised that there is an intimate relationship between the life and activity of human beings and their natural environment. The universe is thought to be the ‘mother’ of all things living including human beings. Conversely, all living beings are thought to be the offspring of the universe. The human body is likened to a small planet within the universe. The universal yin and yang transform into the sun and moon. The five earthly transformative energies, also known as the five elemental phases, consist of wood, fire, earth, metal and water. Heaven has four seasons while man has four limbs; heaven has five elements while man has five zang-organs; heaven has six cosmic laws while man has six fu organs. The earth possesses river and tributaries whereas man has channels and network vessels. The correspondence of heaven and mankind are intimately linked. The study of human anatomy, physiology and pathology in Chinese medicine adopts a basic strategy of ‘looking up into the sky to study astronomy, and looking down to observe the geographical structure; and in between there lies matters concerning all humans’ (Su Wen: Qi Jiao Bian Da Lun). Thus, the Theory of Yin and Yang and the Five Element Theory emerge from the universal movement of heaven and earth and their relevant patterns of changes. The theory of the five elements rests on the notion that all phenomena in the universe are the products of the movement and mutation of five elements: wood, fire, earth, metal and water. These represent the basic elements found in nature, and each has its own properties. However, the literal translation of ‘Wu Xing’ is not ‘Five Elements’, which would be ‘Wu Cai’. The meaning of the word ‘xing’ is ‘movement’ or ‘process’. According to the Shuo Wen Jie Zi (说文解字), the word ‘xing’ means ‘to step forward’ which describes movement and transport. Thus, ‘Wu Xing’ can be interpreted as the five different movements of the environmental qi or five different types of movement. The ‘five elements’ are the net result of looking at the sky and observing the earth, as seen in tables of Concordance of the Five Elements.) This included observation of the direction of the ‘handle’ of the Great Dipper: the direction that the handle pointed signified the season. For example, when looking up at the sky, if the handle of the Dipper points East, the season is Spring. When the handle is pointing South, the season is Summer; when the handle is pointing West, the corresponding season is Autumn and when pointing North, the corresponding season should be Winter. 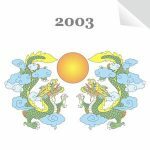 This article is an extract from the Pearls of Wisdom Seminar in 2003. You can purchase the entire article as a downloadable pdf. Alternatively you can download the Pearls Souvenir Book which contains a total of 14 seminar and workshop lectures from Pearls of Wisdom Seminars 2002-12. 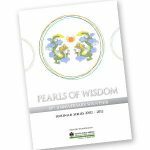 Pearls of Wisdom Souvenir 10th anniversary edition collecting 14 seminars and workshops from 2002 to 2012.